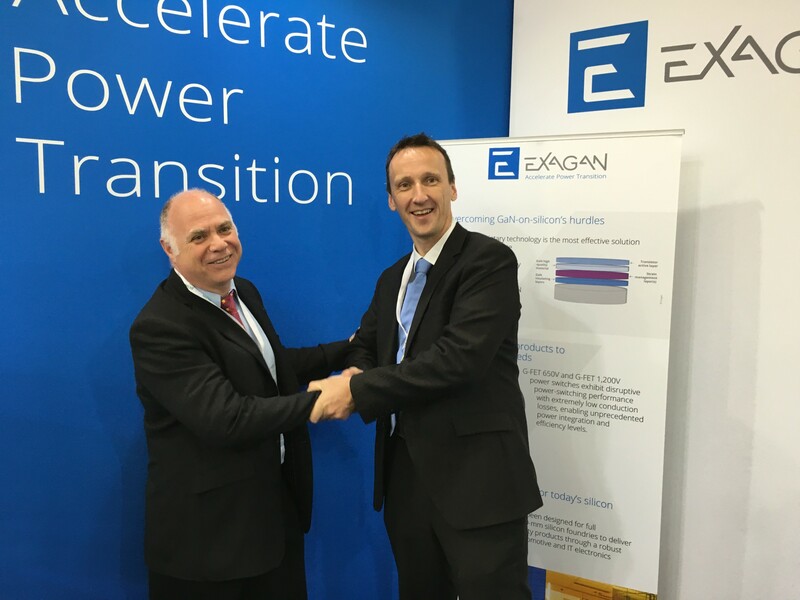 Exagan, a leading innovator of gallium nitride (GaN) semiconductor technology that enables smaller and more efficient electrical converters, has begun a strategic partnership, to develop and commercialize GaN-on-silicon products, with Hirex Engineering. The partnership’s goal is to establish the reliability of GaN-on-silicon while also demonstrating to users the performance improvements to be gained and the low risk of integrating the energy-efficient technology in their own products. Exagan will work closely with HIREX Engineering. Together, the companies will test and qualify the benefits of Exagan’s proprietary G-Stack™ technology, which employs standard 200-mm silicon processing to produce power GaN FET (field-effect transistor) semiconductors used in making smaller, more efficient power converters. These converters have a broad range of applications in high-growth markets including plug-in hybrid and full-electronic vehicles, solar energy and industrial applications as well as efficient charging of all mobile electronic devices. Through its participation, HIREX Engineering will expand its expertise and business portfolio to include advanced power GaN technology and the end products it enables, reinforcing the company’s position in the aerospace and other high-reliability electronics markets. Provide to our customers best in class engineering services, test services and radiation expertises in electronic devices, modules and equipments within harsh environment markets based on quality management excellence Management. Aircraft engines are becoming ever quieter and more environmentally friendly thanks to digital technology. HIREX ENGINEERING a member of Alter Technology Group, is helping to ensure that the FADEC electronic engine control system works reliably.